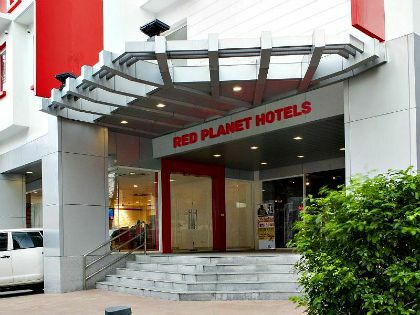 With the opening of value hotel Red Planet’s 10th and newest location in the country on Wednesday, a top official said that ten more hotels are coming in five years’ time. Red Planet CEO Tim Hansing told reporters during the opening of the hotel’s 10th location in Amorsolo in Makati City that the company has already acquired locations for construction of three more hotels. Hansing said that the hotel group will begin construction of three more hotels in Cubao, Manila Bay, and Binondo within the year. However, sites for the seven other hotels have yet to be announced. He also pointed out that approximately US$ 85-million will be invested for the 10 upcoming hotels. So far, an estimate of US$ 80-million has been invested for the 10 hotels already operating in the country. The 10 hotels in the country are located in Makati City, Aseana City, Ermita, Manila, Quezon City, Ortigas, Angeles City, Pampanga, Cebu, Cagayan de Oro, Davao, and Amorsolo. Red Planet Amorsolo located in 99 Urban Ave., Brgy. Pio del Pilar, Makati City is the second hotel to open in Makati -- the first one is located in Ayala Ave.
Aside from the Philippines, Red Planet Hotels are also being operated in Indonesia, Japan, and Thailand. Department of Tourism (DOT) Assistant Secretary Art Boncato, who was present during the opening of Red Planet Amorsolo, welcomed the hotel’s latest development. "You’ve come at the right time in the Philippines in terms of developing this product as part of the tourism industry,” Boncato said, addressing Hansing. ”I would like to congratulate Red Planet Hotel…your presence here is a vote of confidence in our country and our people,” he added. Boncato also stated that the DOT has a strong obligation to work closely with international and local companies contributing to vital tourism infrastructure. To recall, Red Planet Hotel was previously the franchise partner of Tune Hotels until it decided to rebrand all Tune Hotels worldwide under its operator, Red Planet Hotel Group last month. ”We created the new brand by doing a survey on 2,500 of our guests and found out that 70 percent of them is aged between 20 and 30 years-old,” Hansing said. He explained that this was what led the company to also create a functional mobile app that can be used as a booking portal. The app features an in-stay mode that allows guests arriving at a Red Planet hotels to receive information about relevant local events and points of interest directly to their mobile devices. It also facilitates room-to-room and front desk calling, as well as a chat line, along with many other innovative features. ”This way we stay relevant,” Hansing said, adding that technology is a key part of its guests’ getting the most of their stay. Hansing further said that the survey also showed that more than 50 percent have checked in Red Planet hotels more than four times thus the creation of its loyalty program, Remembered. It has obtained 2,000 sign-ups a month since its recent launch. Other upgrades since its rebranding include an upgrade in its wi-fi speed, now at a minimum of 10 mbps, similar to that of most five-star hotels. Red Planet has welcomed more than three million guests to its hotels since opening its first hotel in 2011. In the Philippines, Red Planet Hotel Aseana is known for being the hotel with the highest occupancy rate, being the closest to the Ninoy Aquino International Airport (NAIA).